Graphic Design, Print, Advertising, Packaging & Web. News / Celtic Link Ferries, NNI Press Ad of the Year. 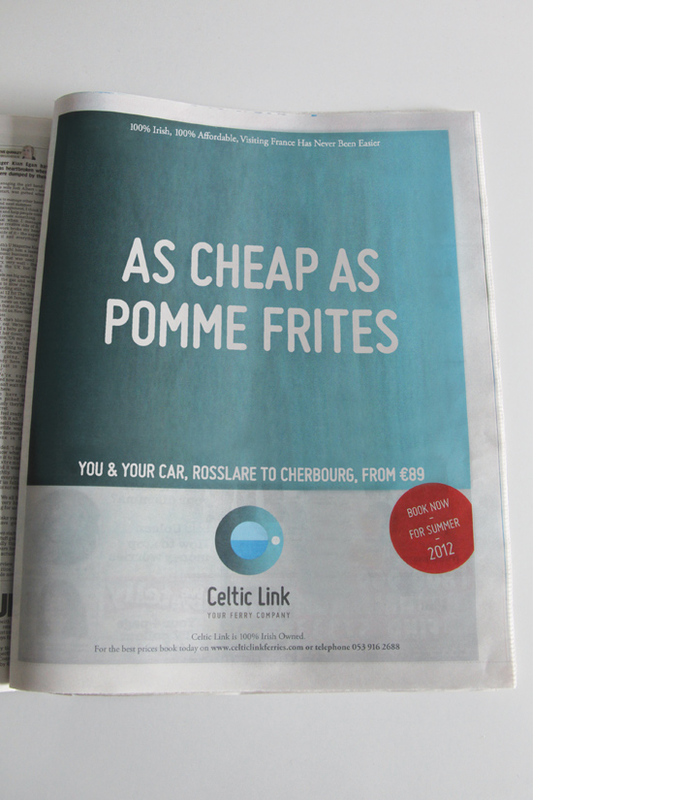 Some great news folks, our ‘As Cheap As Pomme Frites’ advertisement for Celtic Link Ferries has been nominated for the National Newspapers of Ireland (NNI) Press Advertisement of the Year. The annual awards are next week so we’re looking forward to a great night. © Motif 2016. 64/65 Great Strand St., Dublin 1, Ireland.